Jade is a 15 year old grade 9 student at Under the GUI Academy and has been learning to code ever since he was 12 years old. When he first started learning to code, Jade created apps and games using the language Lua with the “Love2D” Game Engine. In the last few years Jade has joined UTG Academy to further his knowledge in computer science and is currently learning Unity and C# in our UN402 class. What is Jade’s current programming project? 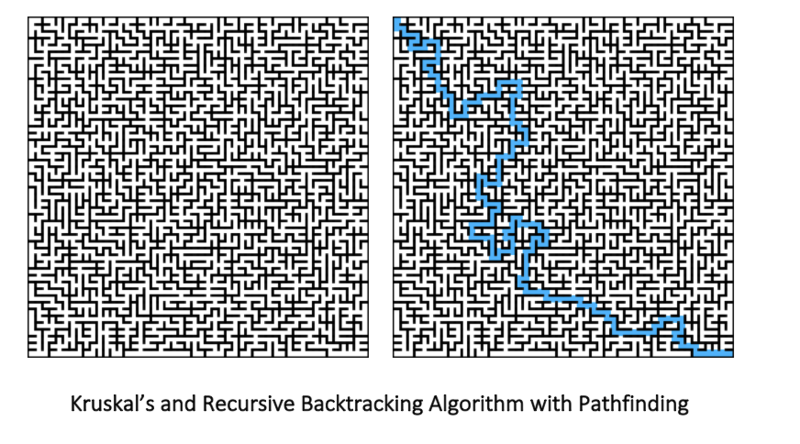 After creating Perfect Mazes, Jade also created another path-finding algorithm to solve such mazes. Jade has always loved mazes and has always tried solving large mazes in his head. 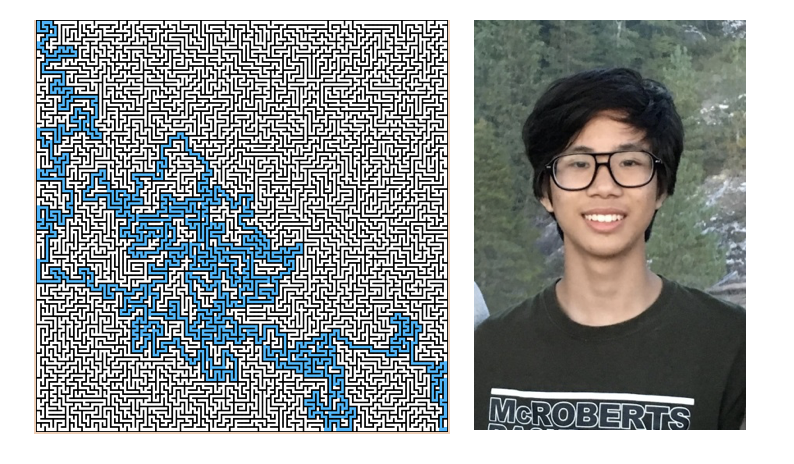 With this new algorithm, you can create mazes however large you wish, and together with his friends, the gang has managed to solve only a few of his algorithmic mazes by hand. It took them 2 hours to solve a 50U X 50U Recursive Backtracking maze but the Kruskal’s maze was just too complicated for them to solve. Jade enjoys maze generation because it teaches him a lot about technology and computer science, data structures and optimizations. He believes learning these topics is crucial to computer science because it allows handling of data more efficiently and that, is what he believes computer science should be. Why does Jade like studying at Under the GUI Academy? What is the most difficult part about coding for Jade? Coding might be hard at first, but once you get into it, and it becomes very addicting, and you get every caught up easily in coding so I would encourage people to code because it is a very important life skill to learn especially since now the technology is advancing fast. Learn more about our school coding for kids in Vancouver, and Vancouver Island. Kids learn in all technology sectors including Robotics, Engineering, Coding, and Animation. We also have Tech summer camps happening throughout Vancouver. Our coding & animation summer camp teaches Python and app development. This is intended for students who have no prior knowledge of Python and is a good introduction to real programming concepts and goes beyond the drag & drop coding interface. At the end of this camp, students will have created their own versions of their favorite apps that they can share online! Our Robotics summer camp program will teach the basics of Arduinos, Raspberry Pi’s and making electronic circuit prototypes. From blinking LEDs to complex flying robots, this camp will teach students how to connect components on a breadboard and do basic Arduino programming to control them. Our Engineering Olympics summer camp will introduce students of all ages to the exciting world of Engineering through a full week of competitions and engaging activities. Activities and challenges will include Giant Catapult, High Egg Drop, Popsicle Stick Bridge, Robotic Arm Transporter and more.